No 21 High Street - Dovecote Tearooms. No 21 High Street - inside Dovecote Tearooms. “Two freehold brick and tiled cottages known as the Dove House. Each containing bedroom, sitting room and pantry and boarded and tiled outhouse and WC in the respective occupations of E Bunn and Elias Northrop, yearly tenants at rents amounting to £7 5s a year from 11th October”. These were purchased by George Warren of Harston for £120. “A freehold detached cottage built of red brick with pantiled roof. The accommodation (formerly 2 tenements) comprises sitting room, living room, pantry and 2 bedrooms. Also garden with extensive frontage occupying an important position to the main road which is available for development. Now in the occupation of Elias Northrop at the gross yearly (11th October) rental of £7 per annum”. 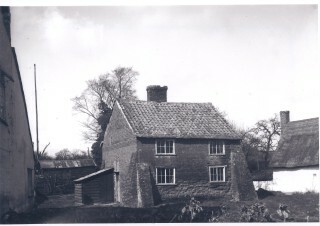 The cottage was purchased by William Fisher for £145. In 1930 William Fisher sold the cottage to Greene King & Sons Ltd for £250. 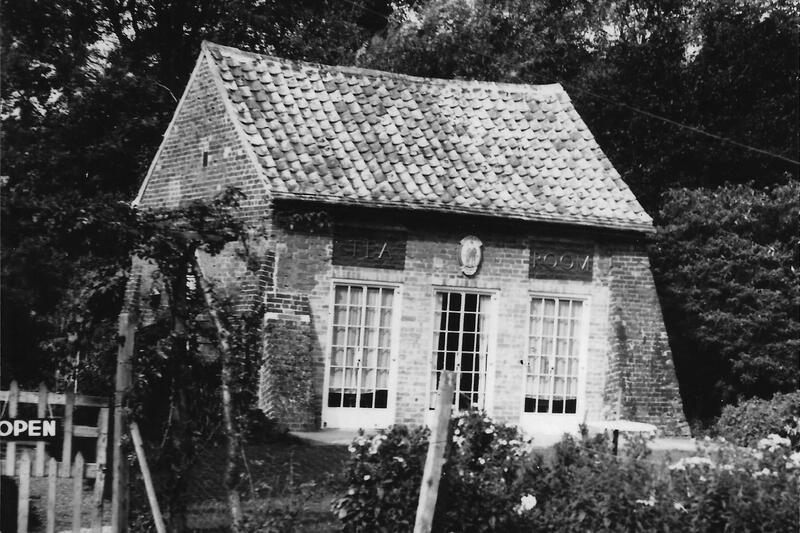 It was described as “an unoccupied freehold cottage known as Dove House & gardens about 30 poles including interest (if any) in the ditch lying on the north of the land”. The Three Horseshoes pub and the cottage were now both owned by Greene King. 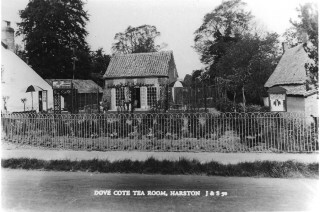 About 1936 the cottage was converted to the Dove Cote tearooms. Shirley Joiner (nee Cullingford) recalls “We made it into tearooms and it had a lovely rose garden in the front. I guess it was owned by Greene King but was given money for its upkeep (back then) by the local Cambridge historical or restoration society”. 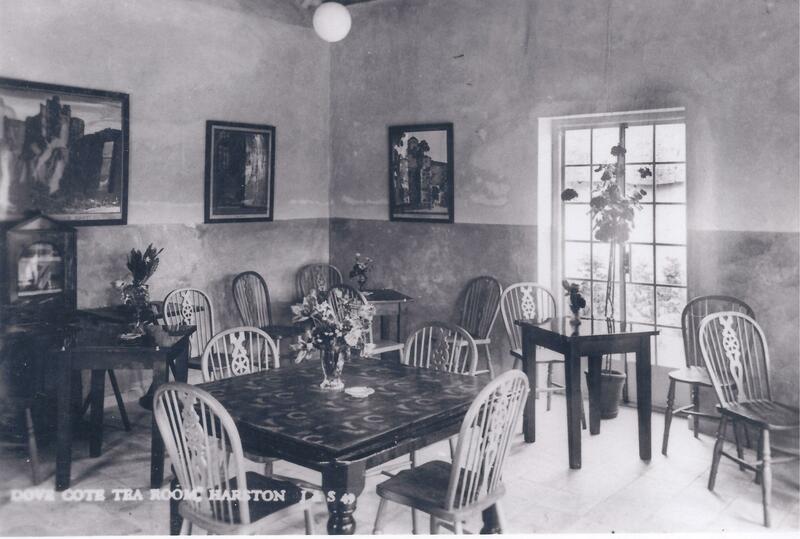 A 1938 newspaper entry noted that the Three Horse Shoes, Harston was granted a licence and it had tea room. In 1953 Greene King applied for planning permission to construct a covered walkway between the pub kitchen and the tearooms although it is not certain if this was ever built. 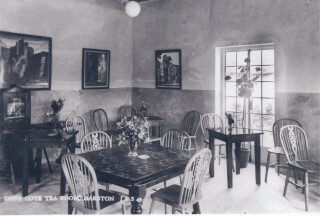 Older residents of the village remember the tearooms being in operation around 1956 but the date of its closure and subsequent demolition in uncertain.